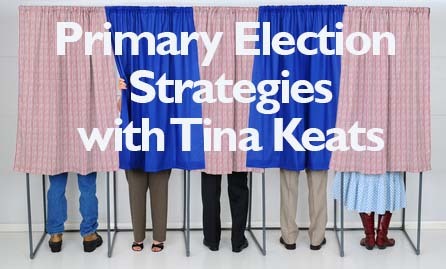 Tina is back on the podcast today as we discuss primary election strategies. A primary election is slightly different than a general election in that you will be running against people from your same party. There will be a lower voter turnout and you will be contending for the vote of a smaller group of people. How can you set yourself up for success in a primary election? We’ve got some great tips and strategies for you today to help you get the advantage in your local primary election. If you are considering running for local office or are helping someone who is, then don’t miss this podcast! We will let you know what you need to know about primary election strategies for local political offices. This entry was posted in Podcasts and tagged election strategies, primary election, running for local office. Bookmark the permalink.